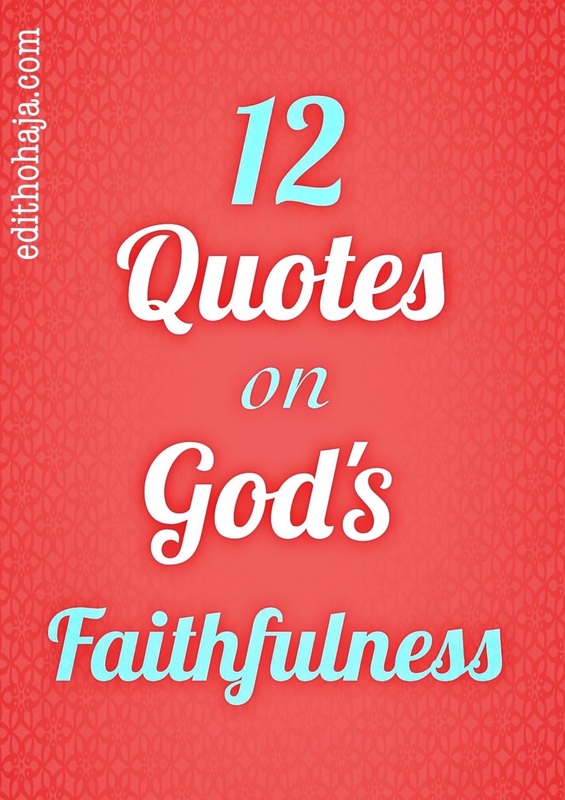 Here are 12 quotes that show that God is dependable. These quotes were composed by me and are Scripture-inspired. Some of them illustrate some posts (inspirational and motivational articles, stories, poems, etc.) which you may click their titles to read for elucidation. Also, graphic versions which vivify their import are available for some of them. Click on the indicators for these to view. 1. The mills of God grind slowly, so an English proverb says. But they do grind and you have the best flour afterwards. 2. When everyone else deserts and fails us, we know we can count on God. 3. Don’t accept anything from the devil. Everything you need is in God. 4. The best investment is the one you make in people because no matter how they turn out, God will still reward you. 5. The God of the Universe is our God and He is forever faithful. 6. When a storm is raging against you, dear believer, don’t worry about when it will cease but know that God is with you and will help you to weather it. 7. 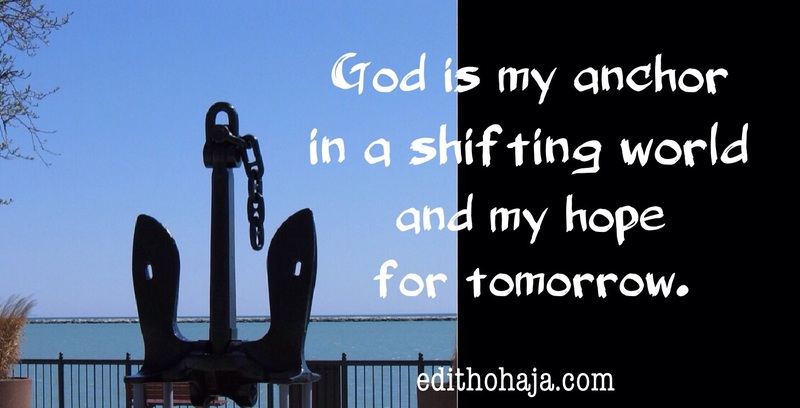 God is my anchor in a shifting world and my hope for tomorrow. 8. You cannot be forgotten in the dust and the dunghill when God has promised you a throne of glory. (Used in the post, “You will Ascend Your Throne of Glory”. 9. We can bank on every promise that God makes to us. 10. Who is willing and able to turn things around for us when we’ve blown everything to pieces? GOD! 11. 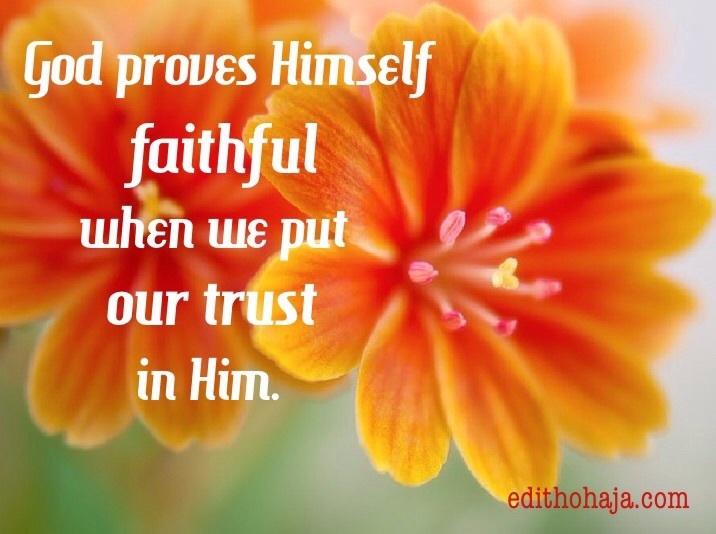 God proves Himself faithful when we put our trust in Him. 12. The world is a dangerous place, but those who have placed their lives in God’s hands can be confident that whatever they face, He will stand by them. You can also check the category, Self-composed Quotes, here on edithohaja,com. You are blessed! “Snappy View of My Bio and the Blog”. First to comment!!! I love number 12,its a good reminder. God bless you Ma and a happy Sunday. Awww, wish there was a prize for that. Thanks, Donmunez, and a happy Sunday to you too! Indeed, our God is faithful. His promises are always true. You're right, my dear. Happy to hear from you. Hope all is well with you. That is who He is. He is a wonderful Father indeed. Bless you, Kelechi! Thank you Ma for sharing this piece on God's faithfulness. It's a topic I love to talk about always. 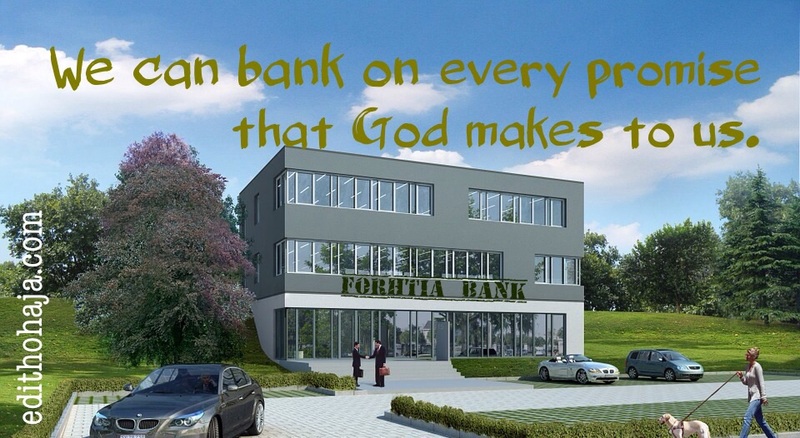 Personally, I have learnt to depend on God's faithfulness and it's good business. That's a fresh way of putting it - "good business", meaning it pays. Bless you, Oge! They are so inspiring n spirit lifting. Meanwhile they assure us dat we have an ever-loving n caring Father. Of course in Him we have no regrets. More grace to you, mum. Yes, He is a Father we can always count on. Thank you and stay blessed, Patience! What a wonderful write-up, ma. That no. 6 has lifted a big burden off me. May God strengthen ur elbow for more inspirational write-ups. Amen and amen. You are lifted, Paschal, in Jesus' name. Nice quotes. I love number ten. Praise God! Hope you're fine, Martin. Remain ever blessed in Jesus' name. Tank u, ma. Indeed the faithfuliness of God is beyond our imagination and even in our unfaithfuliness, he is still faithful. Tank u ma for that piece. Indeed the faithfuliness of God has no bounds. Yes, Ebere! He is altogether lovely! Praise God! Wouldn't that be something, Rita! You are soooo blessed! I believe in God and he will never desert me when others do. Right, my dear! Keep abiding in Him and you'll reap an unending harvest of blessings. God is the last hope of those who believe in him. Truly, He never forsakes those who trust him. May God give us the Grace to keep on having faith in him because He is the chief magistrate of our hearts and lives. Thank you ma!! This is so inspiring. It reminds us of God's unending faithfulfulness towards us even when we are unfaithful.. Yes, even when we'are unfaithful. Isn't that amazing? I really want to come to that point where I can count on God with all confidence, knowing that He's with me when others aren't. 12 points out of the unlimited faithfulness qualities God shows to us. An indication that he is God, our primary care giver within whom we find contentment and never to seek out. I pray that we become patient long enough to be satisfied by the goods that come out of the bag of God's faithfulness. Nice piece Ma. It's fulfilling to know that we always have God on our side. We should always trust in him and never despair. After all, when God is with and for me, who can be against me? No one my dear, no one! These quotes are very inspiring and I am glad I'm reading them now. None address me personally like this: "When everyone else deserts and fails us, we know we can count on God." It gives me hope and offers so much consolation and faith. Like Nke said.. I am also a living testimony of God's faithfulness.. . He is my anchor in this shifting world.. .
No 2 really touched me. God is always with us even when our best friends desert us.it feels good to know that someone cares and it is even the best when the person is God. He did it for Abraham; He made him a blessing to all nations of the earth. His promise to Abraham cam to fulfillment many years after his (Abraham's) death. He did for Isaac; He did for Jacob, to mention but a few. He is the God that never lies; He never fails. We, as Christians can hold God by His words. His promises, to us, He swore must come to pass: it must be fulfillment. For it is written: "...Heaven and earth shall come to pass but My words remains the same". Amen and amen! Bless you, Chikwado! God is my anchor in a shifting world is the boom. It has thrown me off my feet because it's really inspiring. No matter the perils of life, God is there as a strong tower of refuge. Man may fail you but God is true. Always hear me when i call, he doesn't count my inequities but calls me love. My God is indeed awesome. These quotes are reminders of God's promises and faithfulness to us. These quotes will do more good when i paste them on my wall at my lodge to serve as Day boosters when i wake up. God indeed is wonderful and faithful. man may fail but God will surely answer. he doesnt count my iniquities but loves me. This is wonderful. thank you, ma! our God is always faithful he never forsakes us. he is ever ready to help us, all we have to do is to reciprocate the love he has for us by also being faithful to him. ma, thanks for these lovely quotes. This post emphasizes on the need to stick to God at all times and never give up on HIM because he has been faithful and will always be. wow.......I love these inspirational quotes. I wish they never finished. So lovely and thumbs up, ma! Your posts are always motivating. Beautiful quotes ma. Our heavenly father is indeed the peresonification of faithfulness and love. my comment is simple. God is everything. Minus him, nothing stands, fullstop. Hmm! How I wish that you will go ahead in coining more of the quotes. I love this... Aunty Edith, God bless you. Amen. I am solely drawn to quote seven. it reminds me that i have an anchor who is greater than the greatest. This post is awesome as it gives us an insight on God's personality.Indeed He is God and He never fails us. 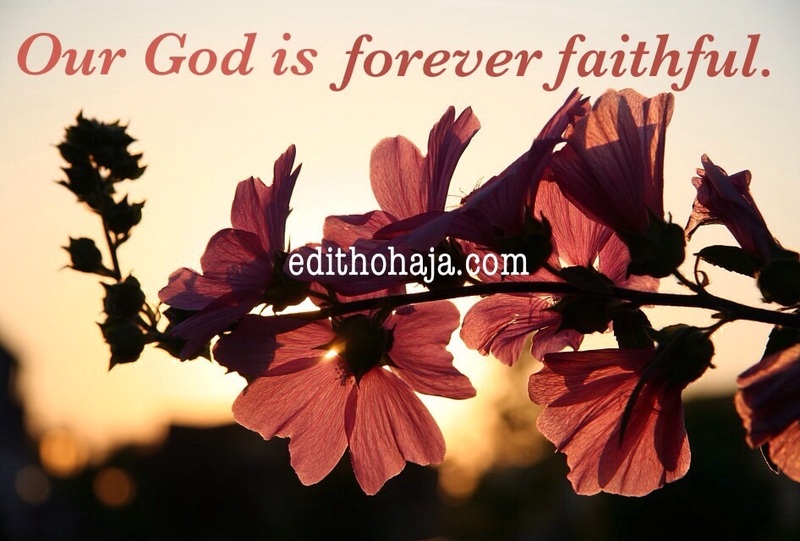 God is truly faithful and his faithfulness lasts forever.These quotes about God's faithfulness are true. Our God is faithful. Even when we are unfaithful to Him, He is still faithful. Man may fail us and disappoint us but He never fails because all you need to do is to believe in Him. Nice one, ma! This is nothing short of awesome! The quotes tell us that God is faithful and is nothing less than that. He is always faithful and we can't deny that fact. Both in the good rimes and in the bad times, God is always there for us. When it seems no one stands for us, God is still there. When it seems accepting the hand of the devil is the better alternative, God is still there. When the enemy raises a great storm that threatens our very esistence, God is there, holding us, our anchor. Remain blessed always, Ma. Ma, am really speechless by the effect these posts are having on me as a believer as I read them. You post inspires me a lot and gives me hope when my spirit is downcasted. 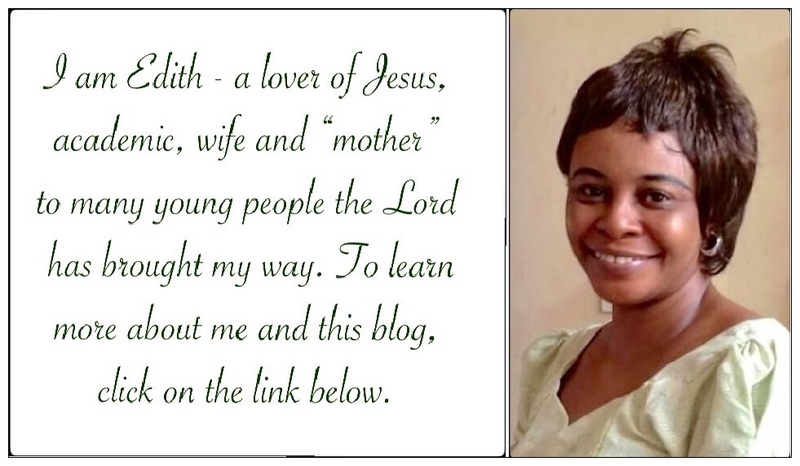 Aunty, God bless you for all the work of the Lord which you doing through your blog. You are a blessings to us your children in the department and God will always keep you and prosper you for us. These quotes are so motivating and lift the spirit, they also remind us of an ever-loving God who is always available whenever we call on him. All we need is just to trust him. GOD is a faithful father. HE is the only one that can not abandon you when the whole world have. All the Quotes listed here is what my FATHER is and many more. He is the only one that no matter how terrible our sins are, as long as you have ask for forgiveness, he will forgive. GOD works more when we put our faith and trust in him and as well worship him. HE is the provider, giver, sustainer and many more. HE is worthy. It baffles me how some people doubt the Love of God .. God Love keeps me going, it is his Love that makes me wake up every morning feeling healthy... It is his love that I can type here... God loves makes me bold and Confident... There is no Love like His. God is always there,we are the ones that are not always there for him. You cannot be forgotten in the dust and dunghill when God is there for us. God created us and he knows us just as a father knows his child. He cant forget us when we need him. He is always there for us. God is ever faithful. He keeps to words. Instead of his word not coming to pass, let the heavens and earth pass away. What he promises, he accomplish.We don't give up or give in to the foolishness of the devil. God is always there for us. God never fails, he has never and will never. 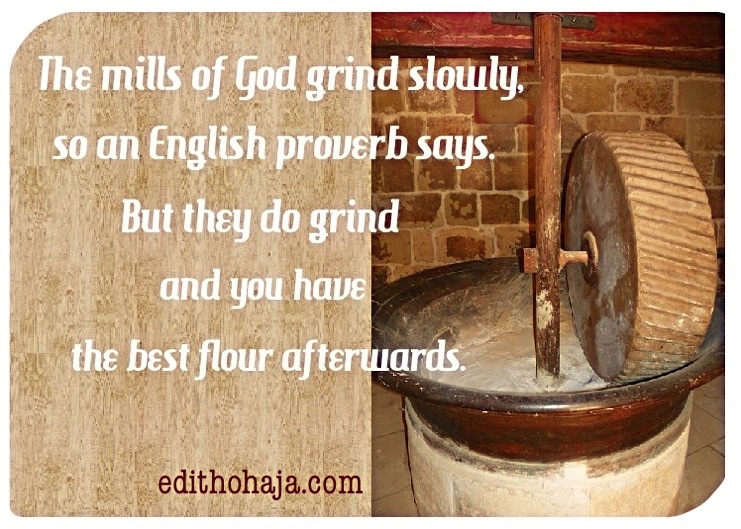 Just as it is said, his mill grinds slowly but it actually produce the best flour. So his delay is actually not his denial, he's just designing the best for you. I love the number 1. Glory to God! Our faithful father. I love number 7. It is just what I need to remind myself daily of God's presence and guidance in my everyday life. We should never let the devil manipulate us with earthly things. We should always look to God. "Don't accept anything from the devil. Everything you need is in God".Talking about breaking free from the devil and his lies. I WANT TO JOIN THE PARADE, LORD!